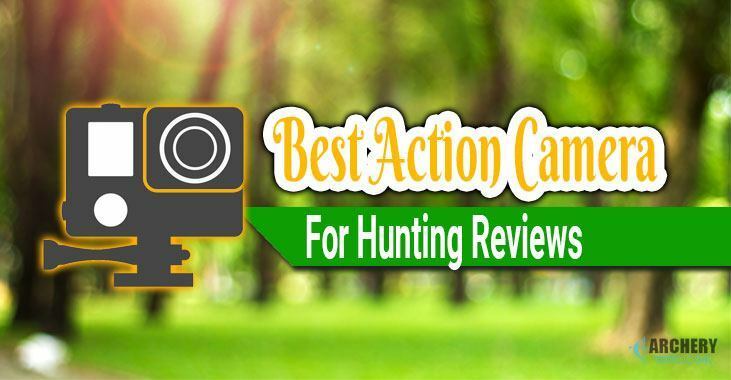 Today I’ll show you a list of 5 best action camera for hunting that enables you to document and capture your hunting trip. This ultimate guide will deeply compare and review in the first part, and then you’re going to know how to choose a good quality action camera. The Tactacam Ultimate Video Camera has been proven to be a valuable tool for hunters that want to see animals at 75-100 yds with accurate and clear video shooting. This is my best action camera for bow hunting. The action camera offers 5X zoom without a fisheye effect, allowing you to see clearer detail at a closer background. While other standard action cameras feature a broad angle fisheye view, which makes a 20-yard view like that of a 100 yard, the Tactacams action camera came out strong and different. This action camera did a nice job by featuring the TruVison lens to bring the view 5 times closer so you can have a clear view of your game even at a long distance. Included in the package is a Gun Mount that firmly holds your camera to your crossbow, guns and scope, and helps you capture your game to give you a stable recording. The mount only weighs 4.4 ounces, so the weight isn't a problem as you capture every memory with ease. With a 2.7k video resolution and a fixed 5x zoom, you will get a high-end video quality with no fisheye view. Using this device simply translates to better vision, bigger images and accurate shot on target. 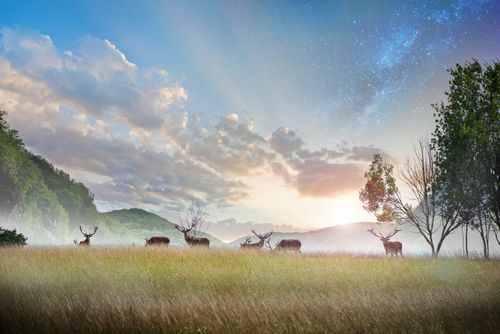 Unlike other high-end action cameras that fail miserably in capturing clear and vivid footage in low light condition, the Tactacam offers a megapixel sensor that captures deer or elk, which usually appear at dawn﻿﻿ and dusk. The best part is it does this without consuming much power. 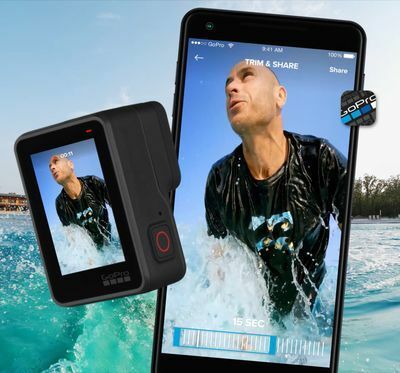 While this device flaunts a simple one-touch power, it also brims brilliantly by offering an ultra HD 2.7k resolution @ 30fps capturing that works perfectly in low light condition compared to a standard action camera. You can also capture footage in slow motion, thanks to its unique 4.0 option. The waterproofing function of this unit is great and deserves massive praise. Even in poor weather condition, the Tactacam action camera is designed with the best electronics to work in the field under wet and unfavorable weather conditions. This waterproofing ability can hold up to 109 feet in the water. 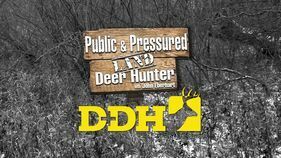 It is shock resistant, making it a perfect tool for outdoor use and, and shooting. Unfortunately, this action camera is not a touchscreen. That said, our test revealed that the recording distance of 75-100 yards, is only suitable for bow hunting, but not for gun hunting. Also, while this is a waterproofed action camera, we did notice that the battery might lose its potency over time if it is constantly in the rain. The GoPro is a household name when it comes to the top action cameras for outdoor adventure. Now, it has released its latest Hero 7 with the included New HyperSmooth Video Stabilization and Live streaming. Now this model is becoming the best gopro for hunting line. The function of the New Hypersmooth video stabilization helps to predict and correct your movements anytime the camera shakes to give you a tip-top, stable, and smooth footage. The Live Streaming feature of the Hero 7 allows you to share every moment of your live. All you need to do is to connect it to your phone via Bluetooth + Wi-Fi. The Image quality of the GoPro Hero 7 is second to none. It moved a step further by featuring a Stunning 4K60 video quality and 12MP pictures in different modes such as single, burst and time lapse. Included also is an ultra high frame rate 1080p240 video. This gives you the option to slow the motion of the videos by up to 8x to recapture interesting, epic or funny moments. This gopro hunting camera is waterproof and tough and doesn’t require any housing to keep it safe from the rain. Its waterproofing quality can hold up to 33ft (10m) with no housing. 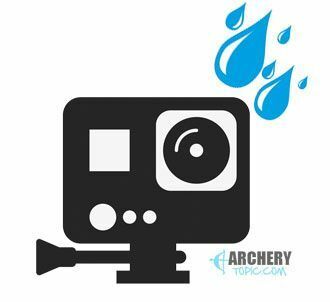 The voice control feature of the GoPro is a great innovation that lets you say predetermined commands whenever you're in any activity, especially if you're carrying a bow or rifle. All you need to do is to command the camera, and it will carry out the commands on time. It also comes with the QuickStories feature which allows you to move your footage from the device to your phone and lets you customize it into well-edited videos. The GoPro 7 also blew other brands out of the water by offering what others don’t offer -- Intuitive touchscreen. While this is true, it also houses a back and front adhesive screen protector for added durability and protection. You won’t notice any issue with the touch functionality due to the protector. One of the disadvantages of the GoPro is that it can't zoom in action shots like that of the Tactacam. While the video resolution is impressive, and stunning, including telemetry to video clips is complicated and slow. Noise reduction to give you accurate shots. The combo of best Sony action cam, tripod and Live View Remote simply produce top quality sound and images for your hunting season. In my opinion, this is the best action camera not gopro. You can also have access to the device through your smartphone device via WiFi, and Bluetooth. It also offers a remote control that looks like a smartwatch to give you a live update of activities happening around. This compact action camera also sports a Handy 3x zoom, that lets you zoom your pictures in and out and bring them 3 times closer to you. The Mount, which is the selling point of this device is designed to work flawlessly with the action camera. Thanks to the included Vivitar Curved Helmet, Vented Helmet Mounts and Flat Surface, which helps to mount the action camera to bows, rifle, and tree stand surface. Just like other top-notch and best image quality action cameras, this device will capture high-resolution videos in 4K. The sweet part is that it houses a Zeiss lens, which happens to be one of the best quality lenses you can find around. And this is one of the reasons the camera is quite expensive. But, the included, Zeiss lens, of the Sony action camera worth every dang penny. With 125 min record time and 170-degree angle, the Sony Cam also comes with a super-steady and anti-shaking Balanced Optical SteadyShot to help you capture a more stable shot. While the Sony action camera supports a voice recorder that allows Live Streaming via Ustream, it also supports an H1n and Rode mic, and gives you the room to improve the audio quality of the unit by using a third-party device. The Sony also comes with a reliable splash-dustproof and a fully waterproof body that is designed to go down to 197 ft(60m) in water. Thanks to its Underwater Housing, that ensures it is securely waterproofed to keep it dry during wet seasons. 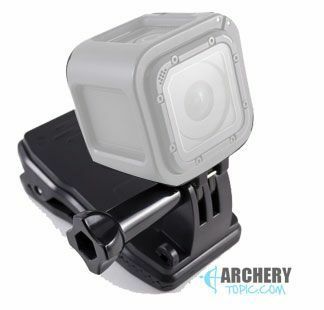 While this unit looks well-thought out and gorgeously built to rule and reign over other action cameras for hunting, it does come with its own downsides. One of my gripes is that the 2 mounts were glued incorrectly, and the part that is held by a screw has a rubber grommet that wasn't properly seated. While it is a little bit expensive, the audio quality needs a bit of work. It usually gets muffled when it’s in the waterproof case. The mount works flawlessly with the action camera. The screwed rubber grommet isn’t properly seated. With a 1080 Full HD w/ sound, 12MP, 170° View, 2 way remote control and other cool features, the SPYPOINT stands tall as one of the best deer hunting action cameras on the market. It has a 4x zoom lens that will bring your images 4x closer to you. You will also get a protective waterproof case to keep it dry during wet seasons. This brand is well-designed with the avid hunters in mind to improve the hunting experience by offering an improved low light image sensor. Thanks to its 12 MP high-resolution image that shells out quality videos and images. The 2-way remote control is an advanced technology that allows you to take videos or photo. You can select any recording mode you want and enlarge the pictures. Another unique thing about this bad boy is that it has no fisheye effect, which means the video is smooth and the edges don't look all stretch-out and blurry. While this seems to be waterproofed and comes with a 170-degree angle, it has no touchscreen feature and it is not built with WiFi capabilities to have it connected to your phone. Another drawback is that the action cam doesn't come with the ability to zoom more than 4x. Unlike other action cameras, the Ion hunting action camera is one of the best gun mounted cameras for hunting that is silent and only vibrates when turning it on and off. It offers one-touch silent recording system that lets you operate the device with just a single finger. Another nice feature about this CamoCam is that it won't scare your deer away due to its vibration. The camera is silent and only vibrates a little when turning it off and on. This camera has 1080p HD Video @ 30fps full capture with a crystal clear 14MP Still Images. The CamoCam also comes with an ultra wide-angle lens to capture Beautiful Photos and amazing moments and show you big games even while on a treestand. The CamoCam is shockproof and waterproof and will go deep up to 32 ft (10 meters). So, taking it out with you on the boat will be a total joy when bowfis﻿hing. With an Anti-shake feature as well as a 180-degree angle, the CamoCam has 2.5 Hours of consistent shooting, with free 10GB of Cloud Storage. 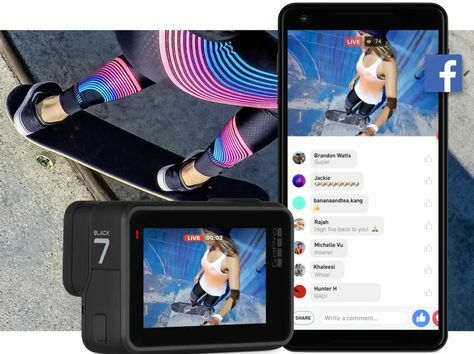 Just like other top brands on this list, the CamoCam comes with Wi-Fi enabled setup that lets you connect the camera to your smartphone, and allows you use it remotely and share video content with family and friends. The CamoCam does not only offer a mount alongside its accessories, but it also ensures that the mount is of high-grade aluminum quality. The best part is that the mount is camouflage to resist heat and corrosion. So that means you can easily mount your camera to be well-positioned with your rifle barrel, fishing rod, bow or net. Did you know the CamoCam is completely Camouflage? This will ensure your Camera fits perfectly with the environment and offers overall concealment, and keep you hidden and prepared for a perfect shot. The buttons are easy to use—thanks to it's one-touch and one-click capture that lets you slide the record button easily without making any noticeable movements. While this Action Camera looks fantastic, one of its downsides is it doesn't come with a zoom feature. Meaning, it isn't great for long distance shots (80 yards and above). So the distance clarity needs to be improved. One essential feature to look out for in a video camera is its quiet operation. It shouldn't be noisy or come with a loud vibration that will startle the game and make them notice your presence. If this happens, you might end up losing your long-awaited prey. Besides that it must be able to capture your moves without shaking. Another key feature to consider is to buy an action camera that can withstand different weather conditions. If you are going to record in rainy or wet seasons for a long time, then this feature is a must. 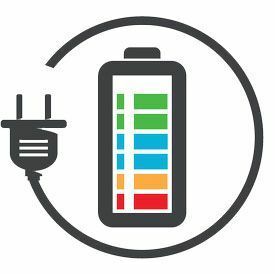 Similarly, it is better to choose a device that has a shockproof design to enable it to stay strong in both rough and severe weather conditions. While some action cameras offer a zoom in and out feature, others do not. 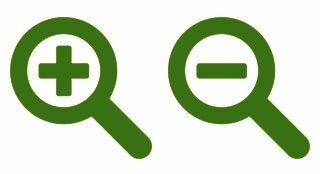 If you want your target image to appear a bit closer than its actual distance and give you much better quality images, then you want to consider this feature. Also, ensure the action camera you want to buy features a fisheye lens as this will let you have an ultra wide-angle lens that will give you full hemispherical or panoramic image. 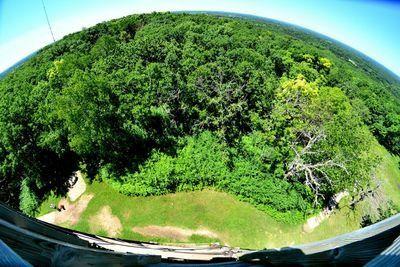 Cameras with fisheye do not come with images that have straight lines or rectilinear photos. Instead, it uses a lens that sports a unique mapping and provides a characteristic convex and non-rectilinear images. This will ensure you have a clean and perfect shot on your target. If you are an active hunter, who would like to shoot in both dusk and dawn, ensure the action camera you want to buy can capture high-quality footage in both high and low lighting conditions. Don’t make the mistake of choosing something that only works in daylight if you want to use it at night as well. The action camera you want to buy for hunting should be easy to mount and well constructed to do the job effectively. It should offer an easy mounting system that allows you to attach it to head, bow rifle, and treestand with ease as well as a stable shot on target. You don't know when the action will eventually set in, so you need a good camera with a stable battery life to have the full backup when taking a shot on prey. You want to make sure the device has a good battery life to let you capture action sequences nonstop. An action camera with High definition footage that is not shaky, and grainy, should be considered. 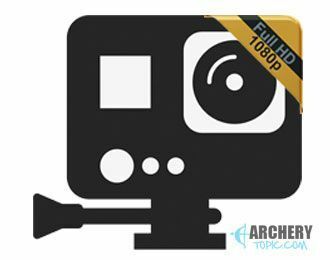 Having a camera that offers at least 1080p video resolution, with the ability to take high-quality photos will do a perfect job. So, ensure you keep this feature in mind anytime you’re shopping for an action camera. 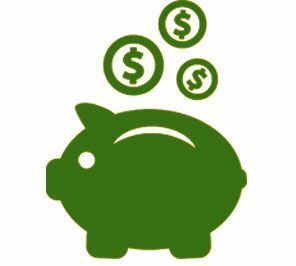 High-end action cameras with a high resolution normally come with top dollar prices. 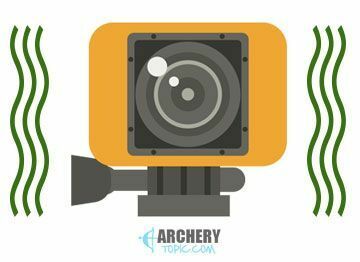 So, if you want to get the best action camera that will make your hunting adventure a wonderful experience, then ensure you go with the camera that falls within this category. But if you are on a budget, then take out time to choose the right action camera that falls within your budget and will also do a fantastic job in giving you the most experience. All the 5 best action cameras we have reviewed are among the best cameras you can get for the money. While this is true, our editor's choice as the overall winner of the best Action Camera for hunting is the GoPro Hero 7 Black. With all these first-class features in place, the GoPro stands as the best action camera for hunting? Have you used any of these cameras before? What was your experience using them?